It brought South Africa success and wealth, but also heartbreak and lost hopes. People came from all over the world to stake their claims in the diamond fields. 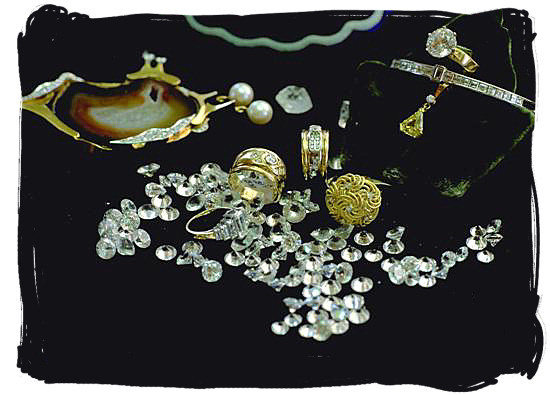 In 1867, diamonds were discovered at Hopetown and in 1871, more diamonds were discovered in the vicinity of Kimberley. A company, "De Beers Consolidated Mines" was established under the leadership ofCecil John Rhodes. This company went from strength to strength and is still in existence today. 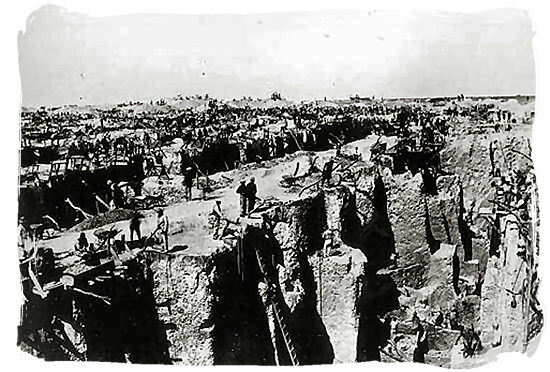 More towns, such as Koffiefontein and Jagersfontein, started up as a result of a concentration of diamonddiggers in certain areas. 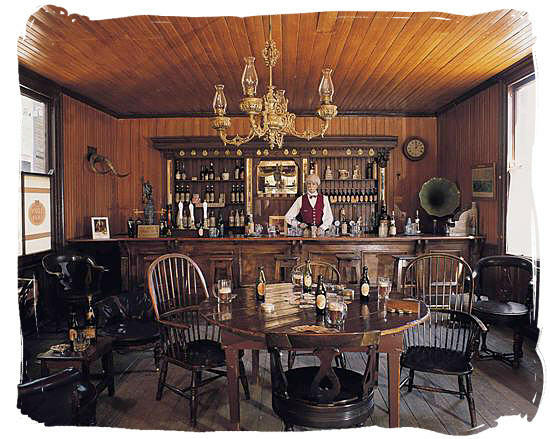 When gold was discovered in the eastern Transvaal (Pilgrim’s Rest, Mac-Mac Waterfalls and Barberton) a similar process took place. New towns were established to accommodate the huge influx of people. Mining magnates such as Cecil John Rhodes and Barney Barnato, who both had interests in the diamond industry, also became involved in the mining of gold. The wealth they had accumulated at Kimberley was used to establish large mining companies. 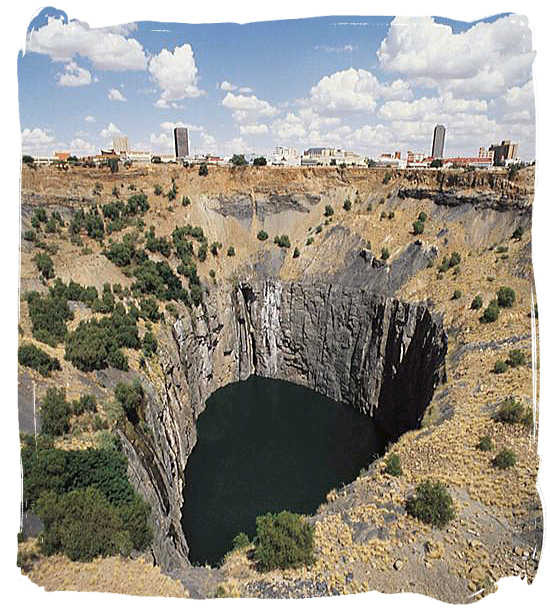 The establishment of mining companies was essential because, although people were able to pan gold in rivers and streams in the eastern Transvaal (today known as Mpumalanga), the gold reef on the Witwatersrand was too deep for individual digging. Mining companies gave employment to foreigners as well as to locals, as more and more people streamed into the area. Since the miners had certain basic needs, such as food, clothes, schools, houses, medical care and furniture, whole industries grew in the mining areas. In 1886, farms such as Elandsfontein, Turffontein and Roodepoort were proclaimed public diggings. These diggings later became well known suburbs of Johannesburg. Johannesburg was officially established on 4 October 1886, and by 1893 there were 14 suburbs in the new town. By 1896, the city of Johannesburg had a total population of more than 100 000 of which a third was made up of foreigners. President Kruger appointed a magistrate to see to legal matters and a Health Committee controlled the town until 1897. This committee had a difficult task, as inadequate water supplies and the lack of a sewerage system contributed to poor health conditions. There were many other problems too. Many farmers, who came to seek their fortune in Johannesburg after a severe drought had driven them off their farms, became even poorer as the divide between rich and poor increased. A group of people, the so-called “Poor Whites,” lived in shacks and depended on welfare organisations to support them. The black people, who had left their traditional homes, had similar problems. Many of them became detribalised and struggled to adjust because of the differences between their traditional culture and the European culture. The Transvalers with their Christian, conservative views also found it difficult to adjust to a lifestyle that was, in their view, immoral.